In The Breakthrough In Two Acts, Dr. Fredric C. Hartman paints a compelling picture of emotional pain and its context within the human mind. Set in the dramatic backdrop of a therapy session as a stage play, featuring Dr. Hartman as the psychologist and Human Consciousness itself as “the patient,” this is ultimately a practical guide for anyone locked within the grip of troubling memories or painful feelings. Dr. Hartman explains in the simplest terms how to decipher the disguised meaning of our painful emotions as they flare up through our minds. He sees these painful emotions as spells to be broken and has devised a way to work strength into consciousness to break these spells. Dr. Hartman builds a convincing argument that in order to truly break free of negative emotions and destructive behavior we must learn how to strengthen our consciousness enough to remain focused in the present moment, whose unexpected nature he also describes in vivid detail. 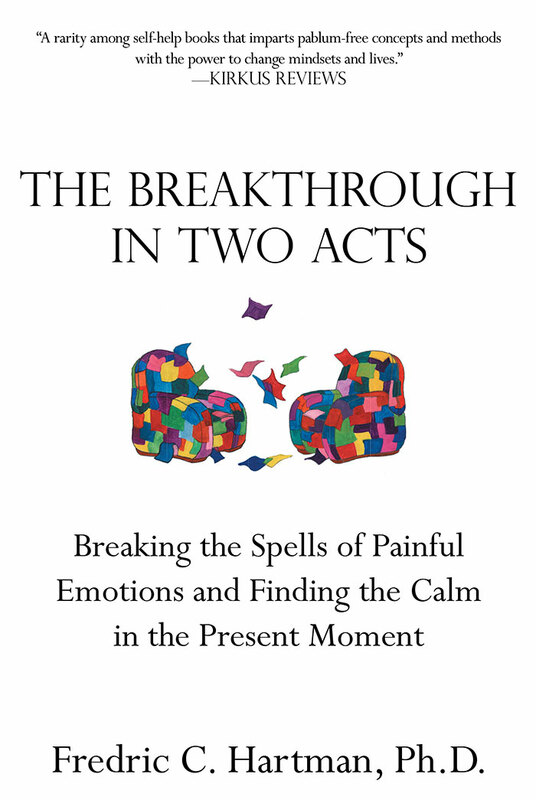 The Breakthrough In Two Acts is a complete, entertaining, practical plan for how to overcome our emotional distress and embrace a calmer and more fulfilling way to experience life.